Ruelle-Pertois was the first grower-producer I began working continuously with in the Cote de Blancs. I heard of them not in Champagne but, oddly, in the Armagnac region. In 1999, I shared a couple of bottles with Martine Lafitte at Domaine Boingneres. About six months later on another visit, we once again had an aperitif. This time I took more note of the bottle: Ruelle-Pertois, Blanc de Blancs, Cuvee de Reserve. Martine told me that the Ruelle’s were long time pals of the Lafittes, with their friendship dating back over half a century. She gave me their number and a couple of weeks later I sent them a fax. As the millennium was rapidly approaching, the Ruelles told me that they had no champagne to sell, all had been reserved by their habitual clients. So I waited until 2000 and went to see them the next time I was in the Champagne region. Shortly thereafter, I began importing their champagnes. Reulle-Pertois is located in Moussy (pronounced Moose-E), a charming village that straddles the Vallée de la Marne and the Côte des Blancs. 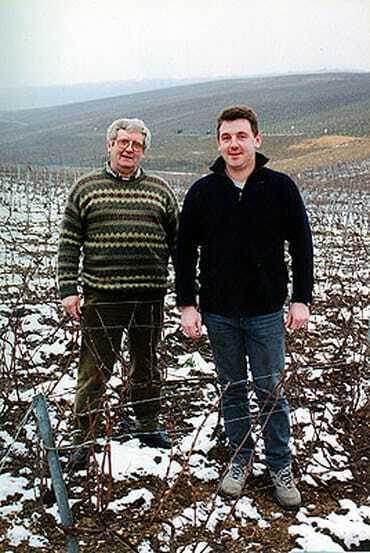 Both Michel Ruelle and his wife Martine Pertois had parents that produced champagne. When they married in the early seventies, they formed their own house and set up camp in Moussy. Officially retired, their son Benoit and daughter Virginie have taken over the reigns of the domaine. The family owns six hectares of vines from which they make just under 4,000 cases. About a hectare of Pinot Meunier is in Moussy, while a hectare of Pinot Noir is in neighboring Premier Cru village Pierry. The family’s Chardonnay is planted in the Grand Cru villages of Oiry, Chouilly and Cramant. The winery is located next to the family house at the top of Moussy, just in front of the slope of vineyards. 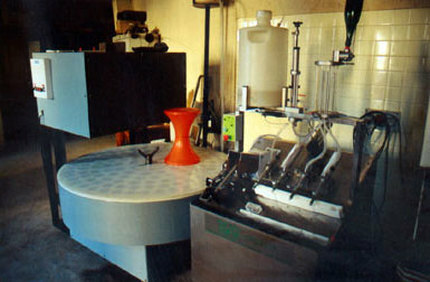 The Ruelles age their wine on its lees for extended periods of time, much longer than the required minimums. For the US market, their dosage is lower than for their French releases, somewhere in the neighborhood of 7 grams per liter. Grand Cru Blanc de Blancs 2008: ​Made primarily from Pinot Meunier. From the family’s vineyards in Chouilly, Oiry and Cramant. Disgorged to order, usually spending on average 8 years sur lie. 7 gram dosage. Lemon curd and a touch of brioche are present on both the nose and palate. Cuvee de Reserve Blanc de Blancs Premier Cru: While some chardonnay in this cuvee is grown in Pierry, 90% if from Grand Cru vineyards in Chouilly, Oiry and Cramant. The wine is a blend of two vintages and spends 6 years on its lees. 7 gram dosage. Bright notes of citrus fruit with underlying complexity of crème brulée. Tasting Notes: Beautiful, fine bubbles emit lovely lemon custard notes wonderfully enhanced by a touch of crème brulée.